Taking our award-winning Insight CTS2 and gave it the capability to store and program custom tunes into your vehicle from your favorite tuner. Using HP Tuners custom tuning software the Insight Pro gives you industry-leading data monitoring and control with the ability to use custom tunes designed specifically for your truck. The Insight is the #1 preferred digital gauge monitor in the market today, used by daily drivers and enthusiasts everywhere. Take that great monitor and add the ability to load custom tunes gives you the best answer to your custom modified truck. 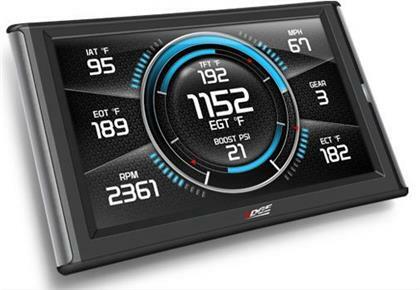 The Insight is the most comprehensive, state-of-the-art, multi-gauge touch-screen display on the market. It is an instantaneous and inexpensive alternative to bulky, analog gauges that would otherwise cost hundreds of dollars and take hours to install. This is the perfect tool for those who want to monitor their vehicle’s performance and prefer not to program their vehicle, or for those who already have significant performance upgrades and want to safely monitor their vehicle’s performance. Not only can the Insight monitor vehicle performance, but it can also be intelligently configured to provide audible and visual alerts to help you protect your vehicle.